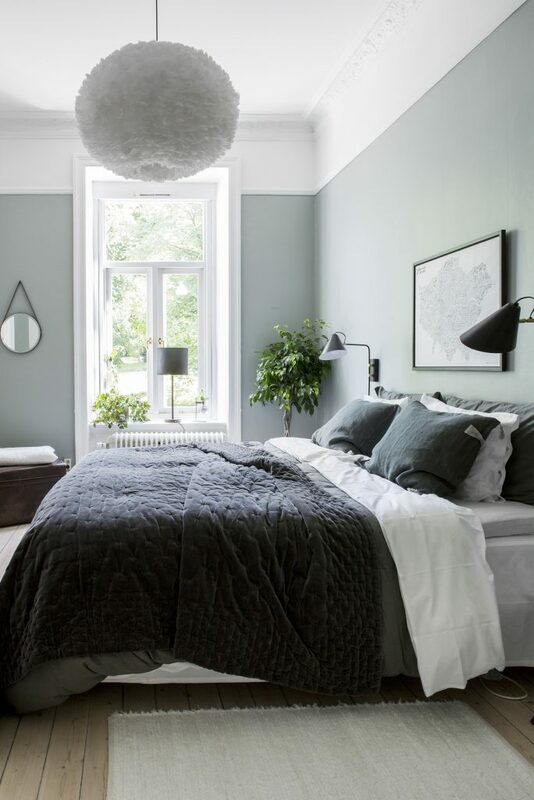 6 BEAUTIFUL GREEN-GRAY BEDROOMS YOU CAN RE-CREATE TODAY - Hey, Djangles. Green-gray, blue-green, sage green, pale green, eucalyptus green… there are so many different ways to describe the wall colors in the bedrooms featured below, I discovered this myself whilst trying to decide on a shade of green for the living spaces in our new country home, I eventually decided on a color by Dulux called ‘Grass Sands’ but found the whole green-picking process quite a challenge! 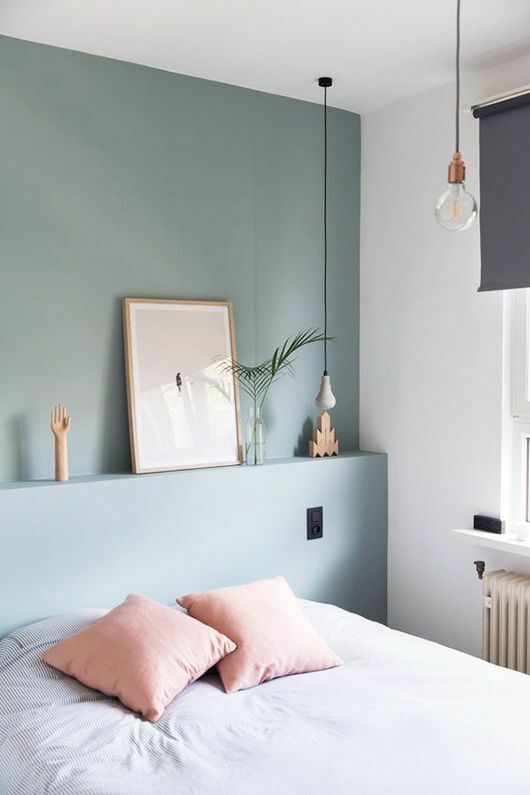 Not only because every greeny-grayish swatch I’d chosen looked totally different on the walls depending on the time of day but I also found it tricky searching for inspirational pics online because there are just so many ways this color can be described! In the end green-gray seemed to be the most popular so that’s what won in the end! 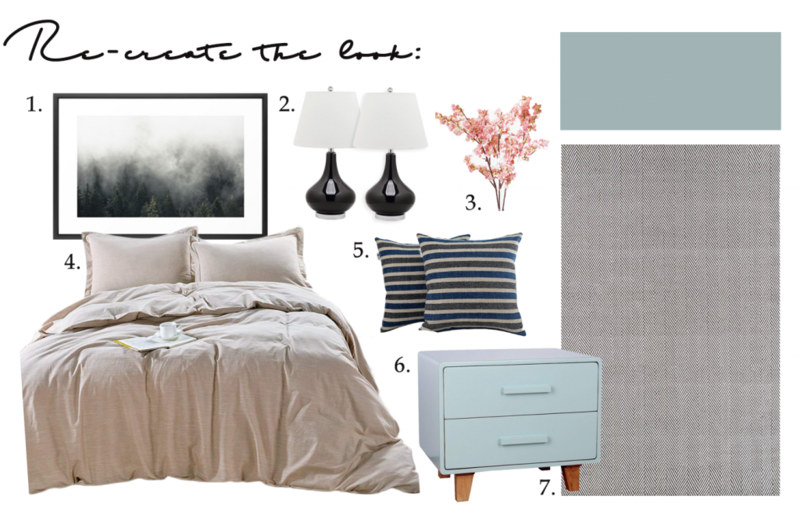 Being such the calm, relaxing color that it is, I thought it only apt to round up a selection of gorgeous green-gray bedrooms, ideas and inspiration for your viewing pleasure! 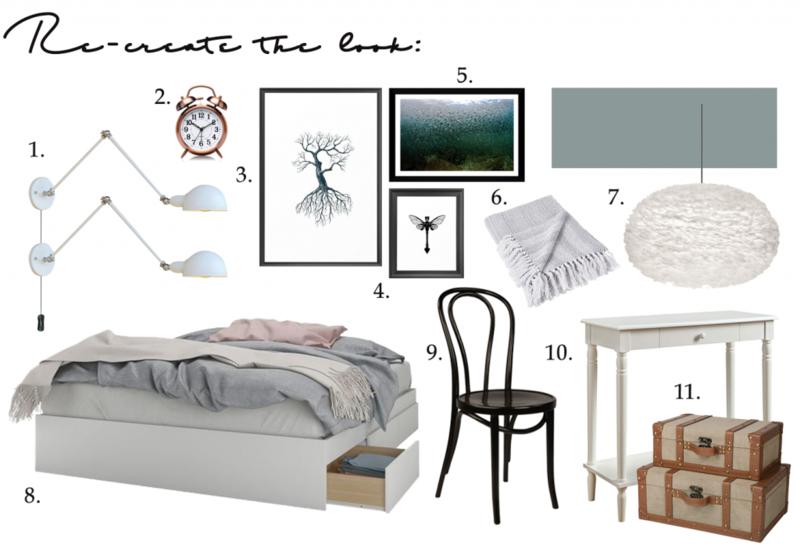 1/6 – I’m loving the clean modern feel of the above green-gray bedroom by Alvhem. The crisp white of the trim, ceiling and pendant light shade really make the green-gray of the walls pop. 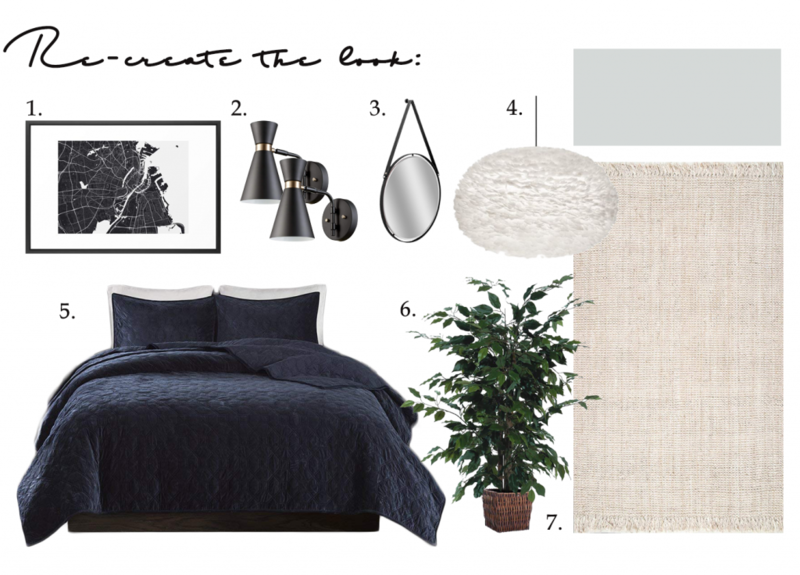 The darker shades in the bed linen and black decor accents work well to ground the space whilst the plant life, rug and corner trunk add the perfect balance of texture and warmth. 2/6- Slightly more blue-green than green-gray, the above bedroom from Consort looks cozy and inviting. Again, the contrasting colors chosen for the bedding, window treatment and bedside lampshade really let the wall color shine. I wonder if the bedside drawers inspired the color on the wall or if it came afterward? Pretty close match if you ask me! Either way, they’re both beautiful. 3/6 – A slightly bolder hue of green-gray (blue-green?!) 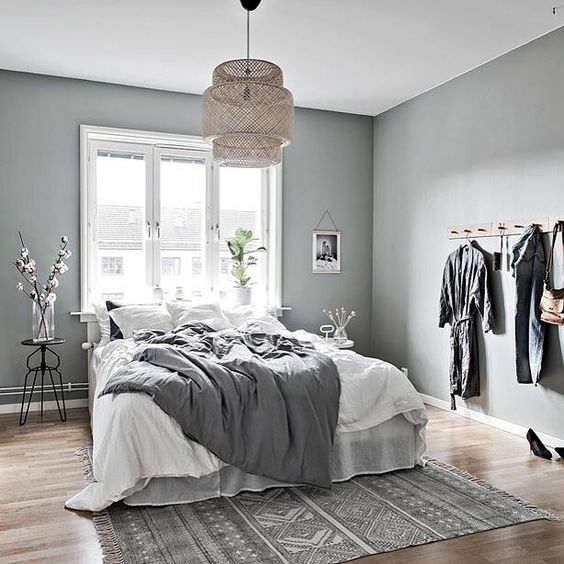 than the previous two bedrooms, this Nordic themed, green-gray bedroom by 55KVADRAT is just gorgeous. Loving the vintage decor elements too. Perfect. 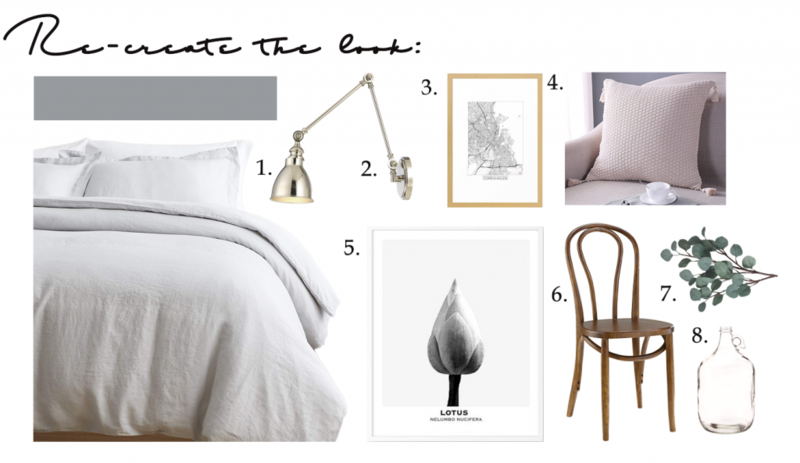 4/6 – Another Nordically styled green-gray bedroom, this time by Emily Schwartzlose. 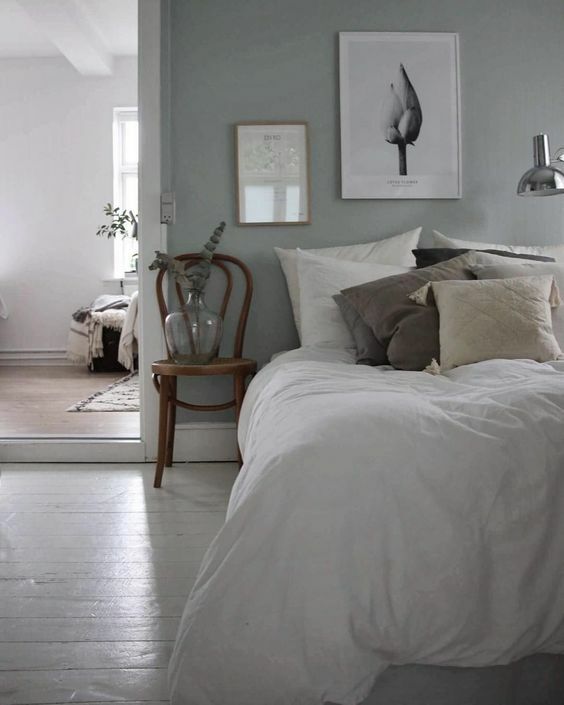 Really loving how the natural colour of the chair and the picture frame above the bed complement the green-gray of the wall and whites of the bedding, trim and larger art print above the bed. Beautiful. 5/6 – Not quite ready to go the whole-hog with the green-gray bedroom? Why not do as Kim Daenen has done with a statement accent green-gray wall behind the bed instead? 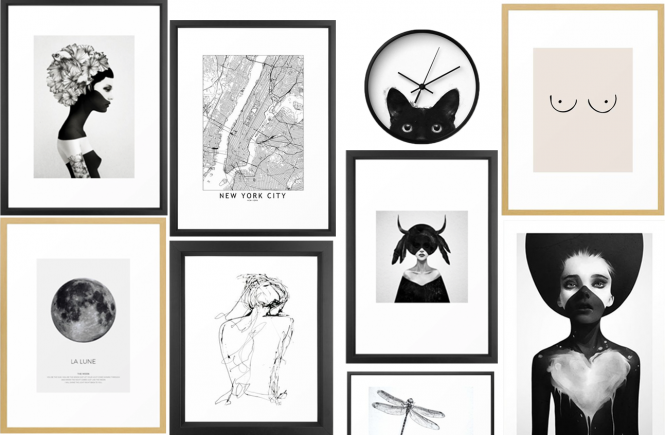 So fresh, bright and modern. Loving the contrasting blush cushions and Scandi elements too! 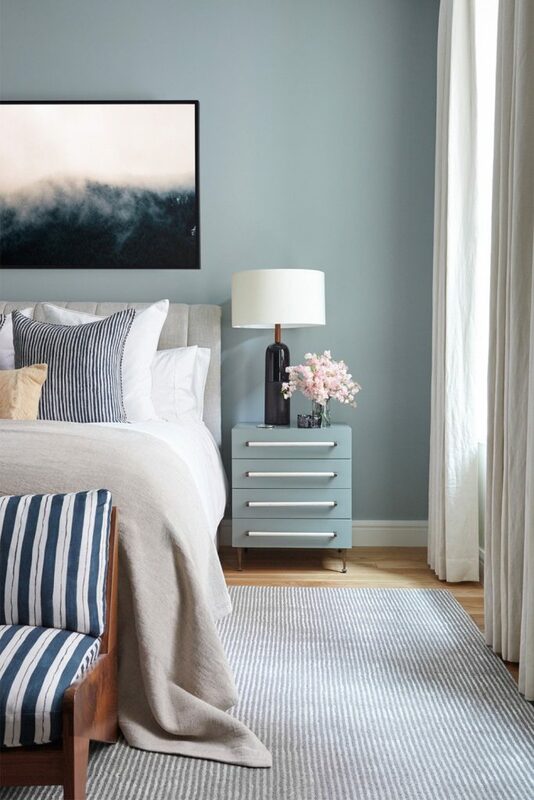 6/6 – And finally, loving this modern contemporary green-gray bedroom by Intro Home Styling & Interior. 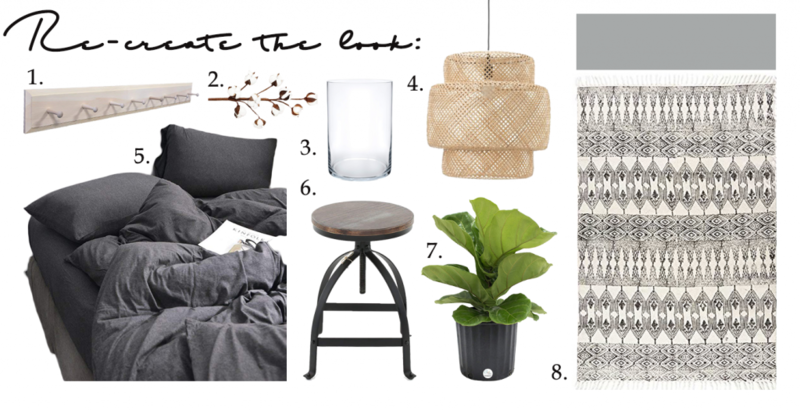 The Boho-style rug and rattan light shade add beautiful texture to the space and give the room a slight Boho-chic feel (but not too much) and the coat hooks on the right wall look fab, dressing up (literally, haha!) an otherwise large empty wall. 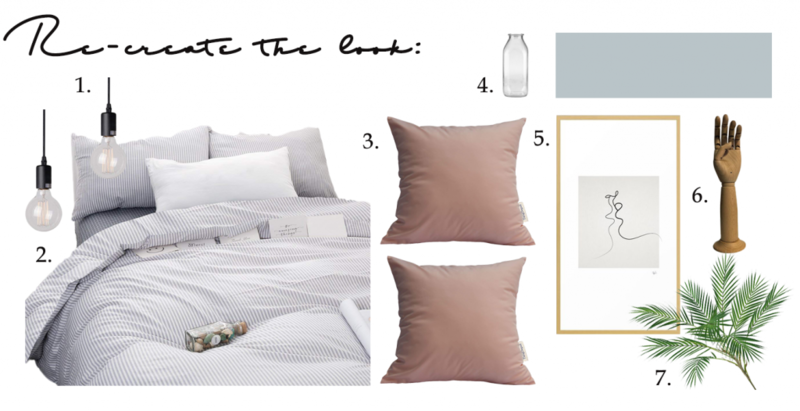 See more of our ‘Shop the look’/’Recreate the look’ posts here.